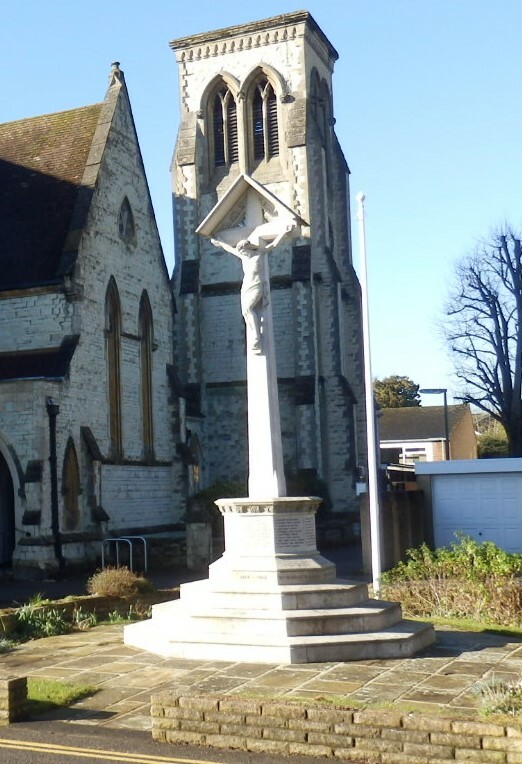 After restoration work in 2011, St Mark’s War Memorial again stands proud as a fitting memorial to those in the town who fell in the service of their country during the Great War. It has recently been designated as a Grade 2 Listed Memorial. Most unusually, it was constructed and dedicated in November 1917, a full year before the end of the Great War. 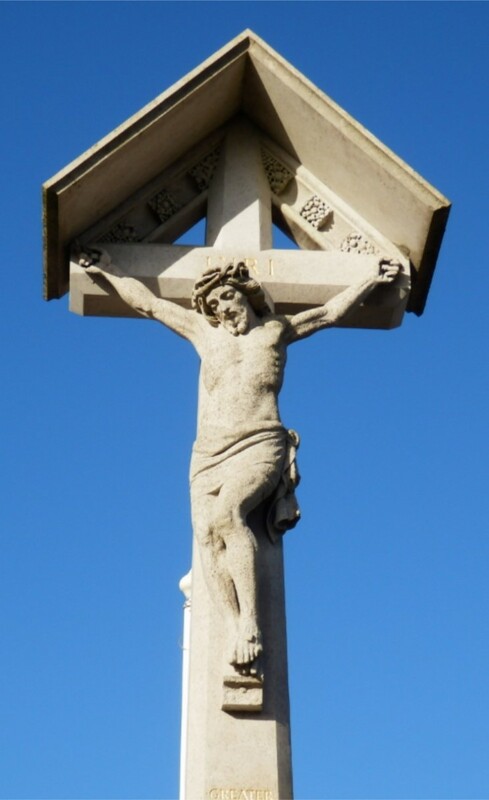 The Memorial, in the form of a Calvary which stands on three octagonal steps and constructed of Hopton Wood Stone, initially had 56 inscribed names, including that of Capt. Hugh Mott MC whose father Alfred was a churchwarden at St Mark’s and who was appointed honorary treasurer to the Memorial fundraising committee in 1917. The Mott family lived locally at The Holt in Wray Park Road. Hugh was educated at Hillside School on Reigate Hill, Reigate Grammar School and was in the middle of his studies at Oxford when war broke out. He enlisted at the age of 20 into the Queen’s Westminster Rifles. He was killed in action at Gommecourt on the first day of the Battle of the Somme on 1st July 1916, aged 22 years. A further 39 names were added to the Memorial after the end of the war, the last one being Private Horace Plowman who died (perhaps of wounds) on 7th November 1919, almost exactly a year after the Armistice. 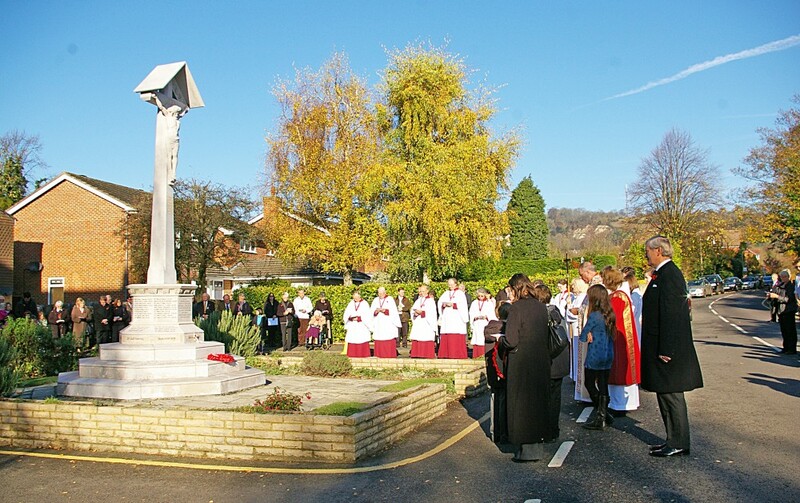 A Service of Remembrance is held every year involving the Church, and Holmesdale School also have a small memorial service there too.